There is plenty of storage in the van two cupboards under the sink and a wardrobe a shelf that runs the full length of the back and there is storage above the cab and also under the rock and roll bed. Hi here i have a 1.9 diesel t4. It says motor caravan on logbook. Or just throw a mattress in the back and use it. Tow bar and electrics fitted. DAB radio with CD and wireless Bluetooth phone link. Front seats Swivel to face cabin. Table movable on bar. 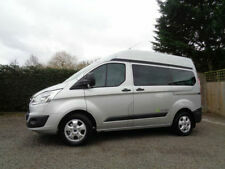 New listingUltimate Ford Transit Stealth Camper Van - 5000W Electric - Truly one of a Kind! AUTO-SLEEPERS TOPAZ. VW T4 TRANSPORTER. 2.5 TDI. 62,000 Miles. VOLKSWAGEN T4 TRANSPORTER 2.5 TDI. AUTO SLEEPER TOPAZ LWB 2-berth. NB: This Topaz must be sold by 29 April. Both front seats swivel. All the seats convert into either two singles or one double bed. SUPERB TO DRIVE,VERY ECONOMICAL AND READY TO GO CAMPING. IVE JUST SPENT OVER £1250 ON MOST OF THE ABOVE NEWLY. FULL LOGBOOK,MOT'S. INFORMATION BOOKLETS. WASTE WATER CONTAINER WITH EXTERNAL CONNECTION POINT. Here is our camper van with a removable conversion which also is used as my work van. The beds and kitchen unit are all fabricated in aluminium each weighting around 6 kg. the box system allows us to pre-load them with all our gear and slip them in and be ready for the off in 20 minutes after getting in from work. For sale is this very nice vw camper. This camper is in Kent. If you want more information about this camper. i have lost and lots of paperwork. This is the long wheel bace high top. And everything you need. The campervan also has 4 large storage cupboards - two accessible from entering through the sliding door, and two accessible through the opening of the back doors. There is also a 12V leisure battery which powers the lighting within the campervan. Transit Custom Camper Professionally converted Registered Motor Caravan with the DVLA, with 5 seats. 86,500 miles Full-Service History 2 Keys. M1 Tested Rock and Roll Bed with 2 seat belts (Certificated) in manufacturer matching trim Bed Sleeps 2 Under bed storage and Wardrobe New tyres all round Tinted Side Windows Fully Insulated Ply Lined and Carpeted USB and AUX Charging Points 12v and 240v Electrics and Lighting Roof Mounted DVD Player Fitted Cooker Detachable Table Electric Windows Bluetooth for both Phone Calls and Music Playback Speakers to Rear New Leisure Battery, with Split Charger Power Invertor 10 Litre Water Tank MOT until 28th November 2019 FINANCE AVAILABLE SUBJECT TO STATUS VIEWING AT NE158NR 01914143624 07955239888. This is a really high-quality Volkswagen Caddy Maxi Camper conversion with the economical yet powerful1.6 litre Bluemotion engine. It features rear seats with belts, which fold into a rock-and-roll bed. 1.9 Tdi Engine. Rock & Roll Bed. Cambelt & Auxilary Belt Change 25,000m ago. Sink with pump. On-board water tank. Only 1 key. Date of Reg. One piece rear door. Fiat Ducato Campervan XLB, 2 birth with an awning to rear. The Awning is new. Full cooker, fridge, shower, and cassette toilet. Very clean, full interior as pictured. mileage is 83,000. Drives very well. This is a well finished self converted campervan. I've just had the camper fully serviced and it has 10 months left on the MOT. It has been certified habitable and gas safe, so it's ready to go for a new owner. Excellent Low Mileage Two Berth Motor Home. Timberland Endeavour (Destiny Layout) Campervan Motorhome only 1 owner from new. 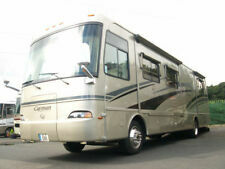 Overall it is a well maintained, well-presented Timberland campervan that is well built and sought after. The Timberland Endeavour 2008 Renault 2.5 tdci with 6 Speed gearbox. Other features include. Mazda Bongo Tintop Capervan (rear conversion). Super campervan imported via an agent to our spec in 2014. Used by 2 adults only! Great fun to drive and live in. MOT to Oct 2019 and regularly serviced with a full history. 2012 Vauxhall Movano self build camper van - 60000 miles - full service history - last serviced in December, MOT'd to December 2019. New rear callipers last year, rears discs and pads were changed December 2017, front ones were done just before I bought it. EcoLife Campers. EcoLife Campers - The InCogNiTo. 100% Zero Wood build. 100% Zero Acoustic Carpet. Seating Capacity 3 (inc driver). Seating Capacity 3 inc driver. Electric Flush Cassette Toilet. Electric Motorised roller blinds. Citroen relay hdi 2.2 camper van 2003. tv aerial fitted on top of van to the distabution board in van. hand wash sink, rear of van has two seats turn into double bed, it's wardrobe. the water is carried in 30lt tanks underneath van, waste water also has a 30lt. May also look at a P/X ?. CARLISLE VAN CENTRE !! MORE IN STOCK !! VW Camper Van in stunning Metallic Chestnut Brown.